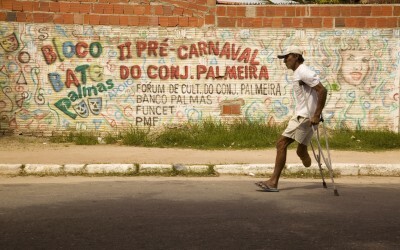 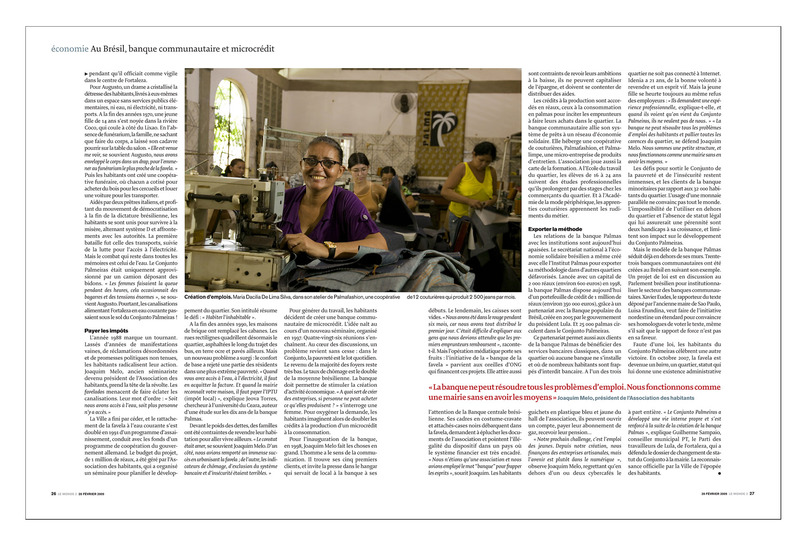 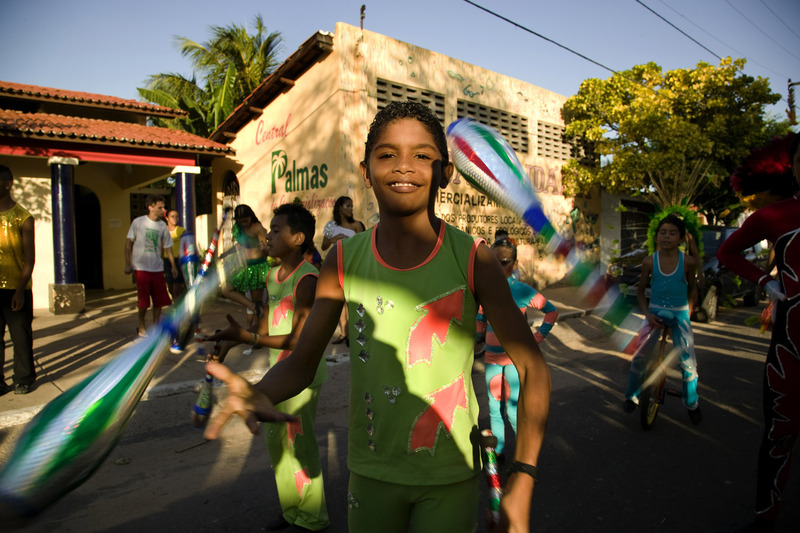 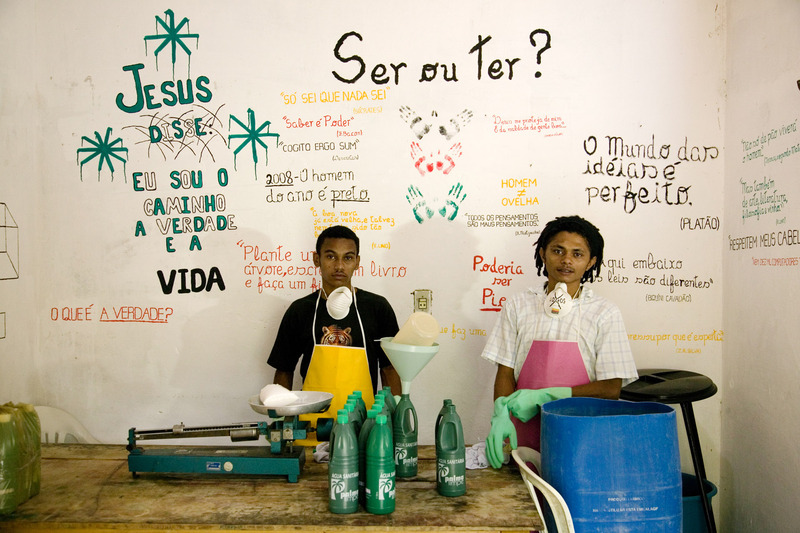 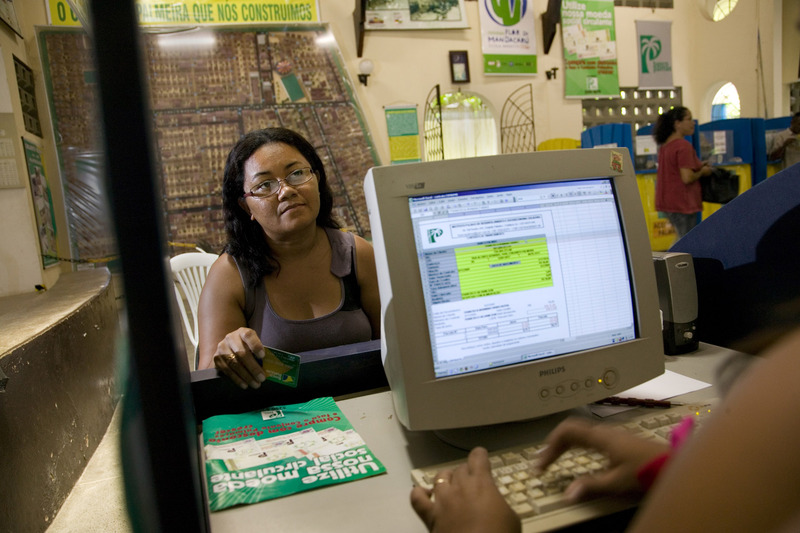 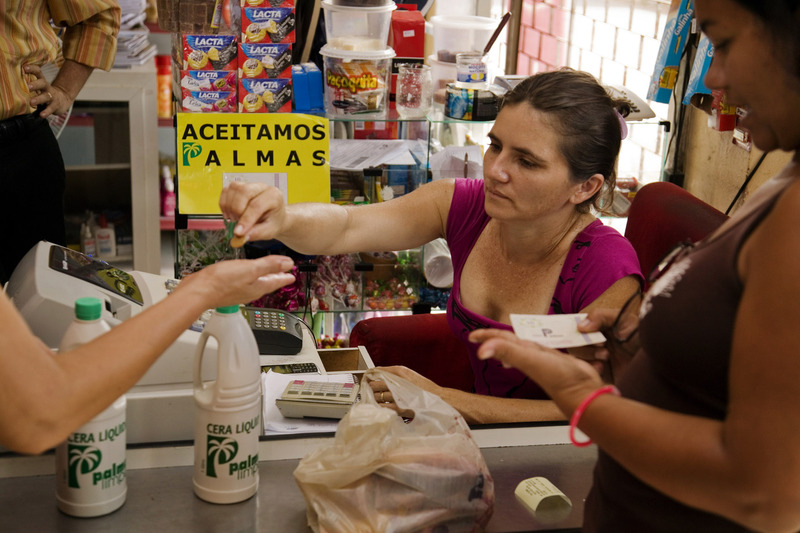 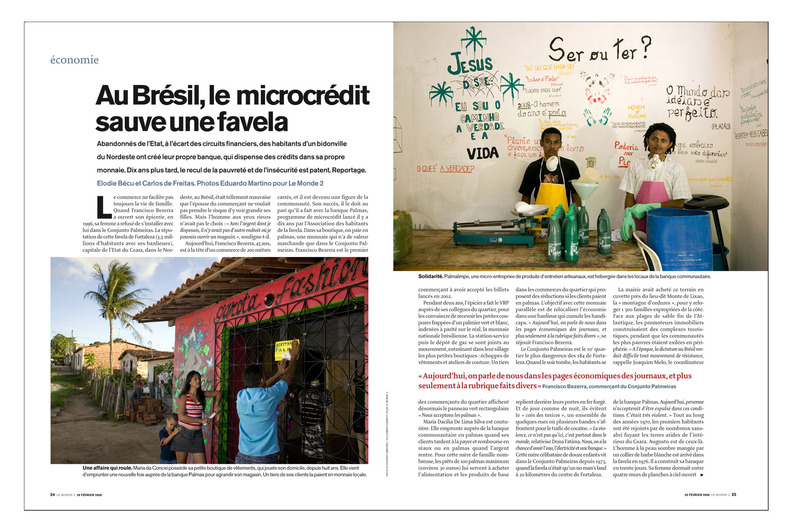 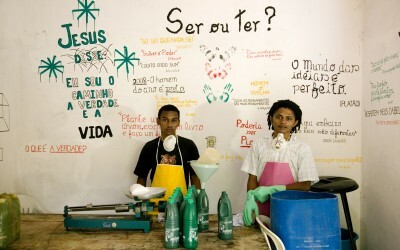 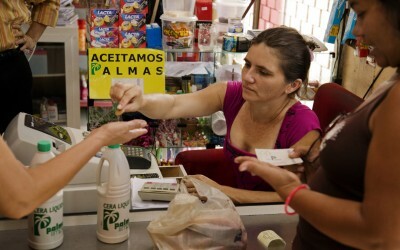 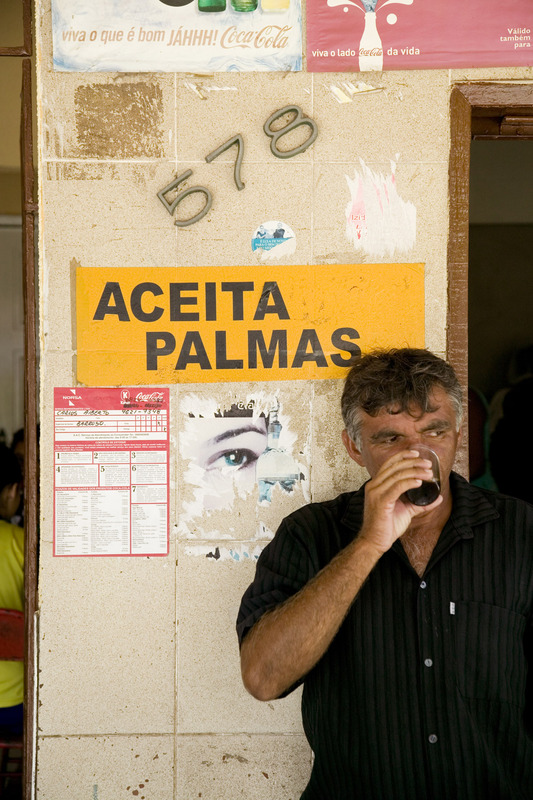 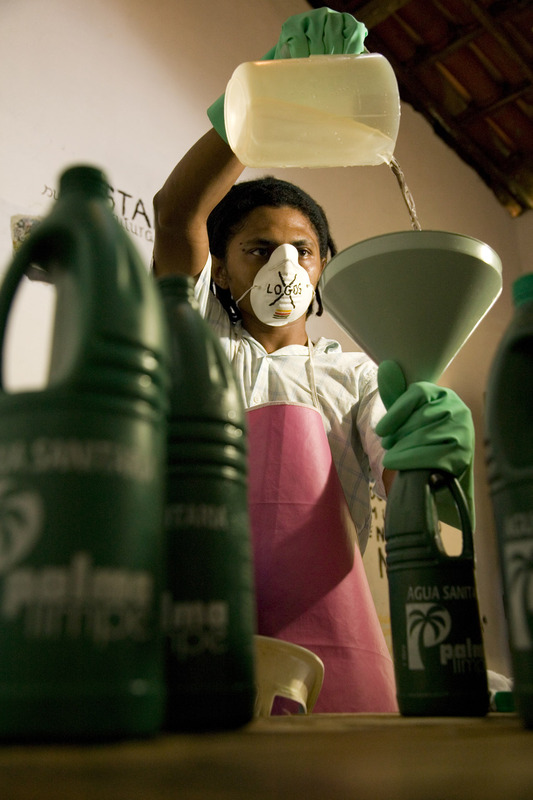 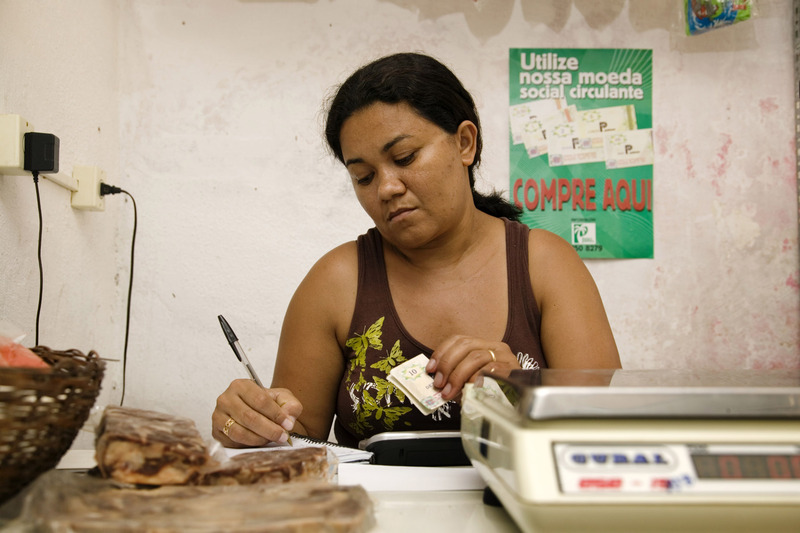 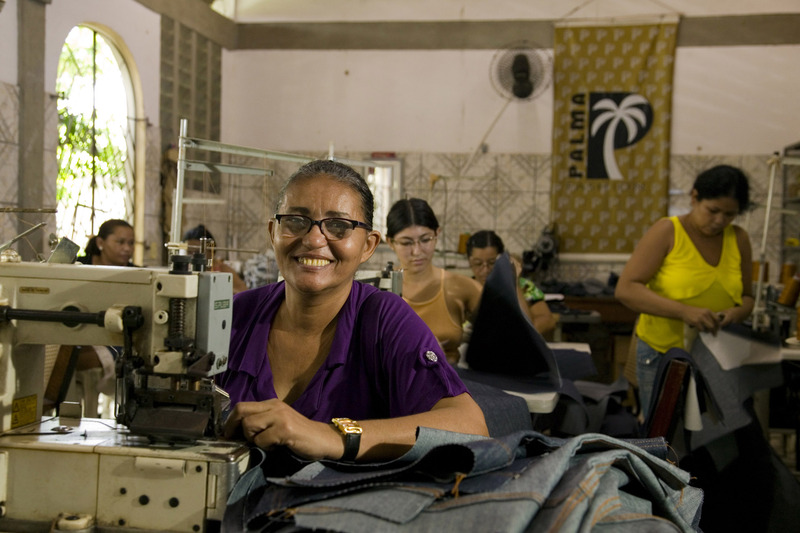 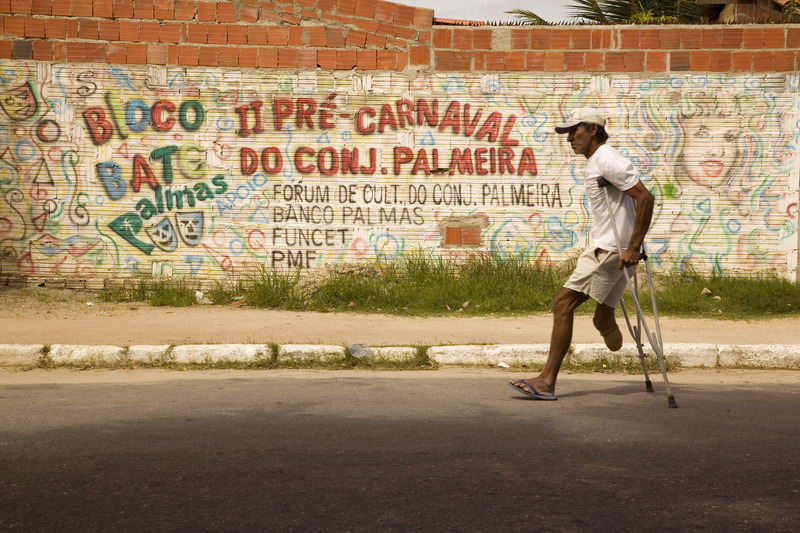 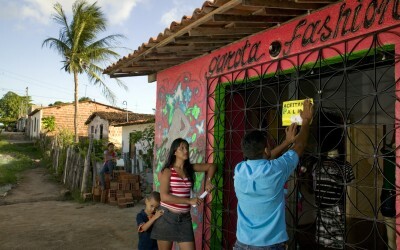 Pictures commissioned by Le Monde 2 in 2009, about the microcredit initiative conducted by Palmas Bank, on the outskirts of Fortaleza, Ceara State, Brazil. 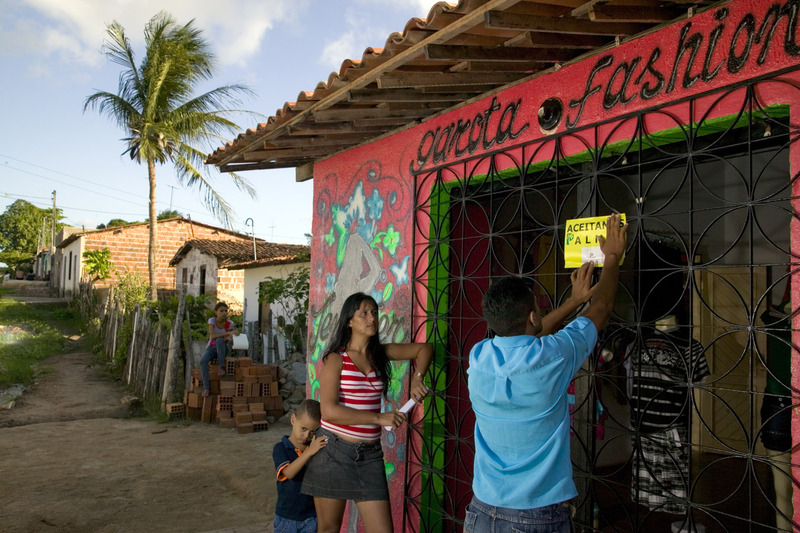 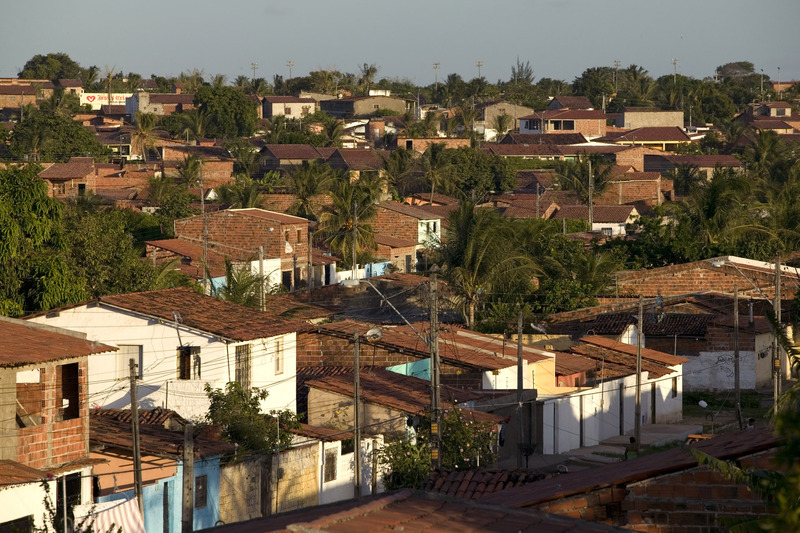 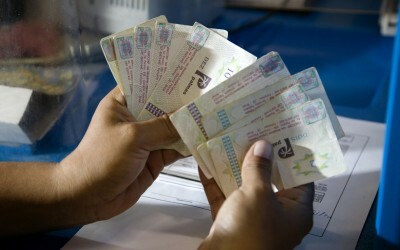 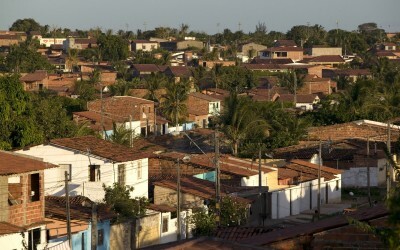 In this poor community, the use a parallel currency, Palmas, forced the local money to circulate only within the premises of the community, as this currency has no value elsewhere. 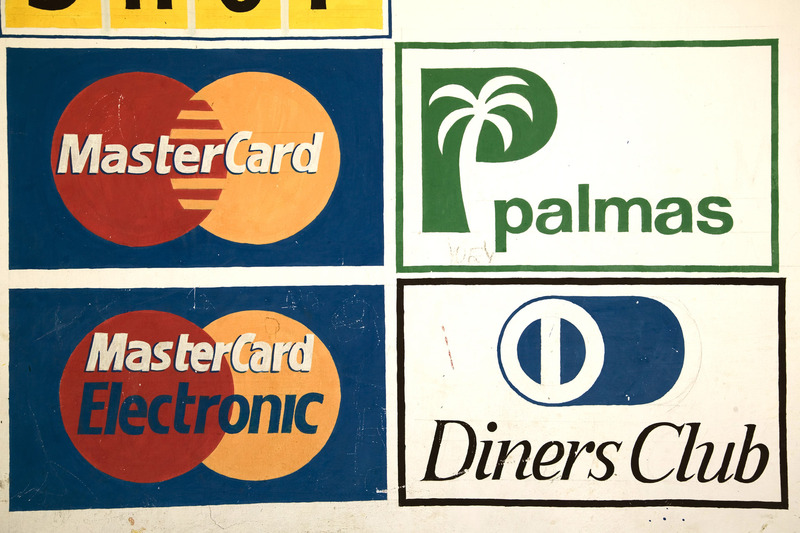 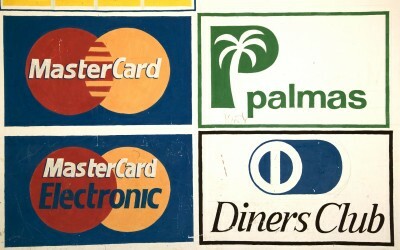 The bank also facilitated credit for small entrepreneurs, cutting short the usual bureaucracy. 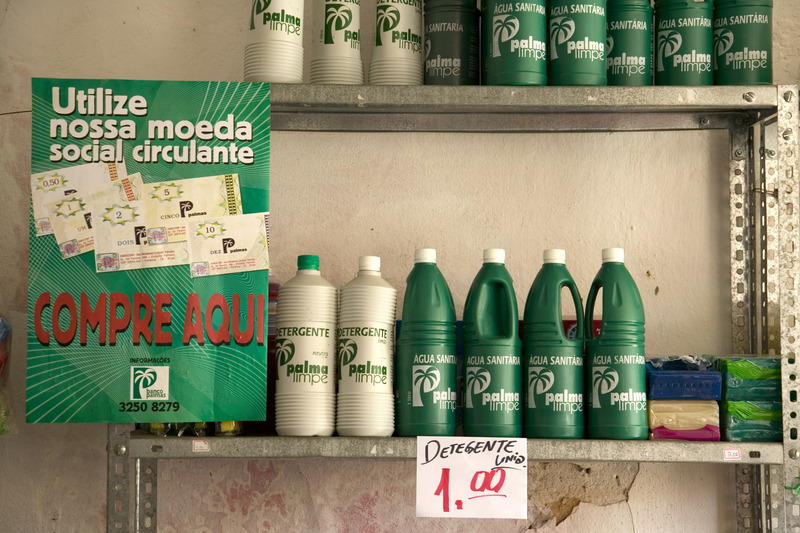 Ten years later, it became a successful case study, with visible social improvements.